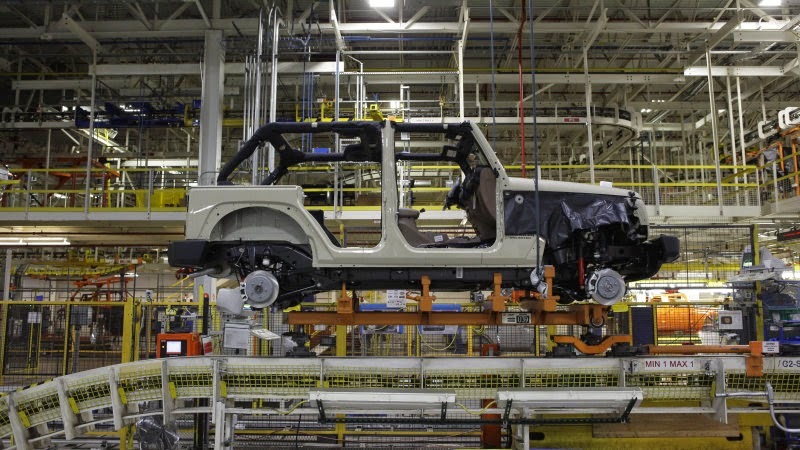 Jeep's Toledo North Assembly Plant has been fighting hard to continue being the home of the iconic Jeep Wrangler when the next generation of the vehicle goes into production. The State of Ohio, the City of Toledo, and countless individuals have been a part of this common goal, but perhaps none as fervently as Toledo's Mayor D. Michael Collins. With his unfortunate death earlier this month, many have feared that among other repercussions, Fiat Chrysler Automobiles' upper management might go ahead with plans to move the Wrangler's production to another facility. The latest reports are indicating that Toledo is still fighting hard to keep their beloved Jeep Wrangler. The City of Toledo's Director of Development, Matt Sapara, seems to have taken over Mayor Collins' reigns; he has delivered to Fiat Chrysler Automobiles an outline of a development plan that would give FCA the ability to buy an extra 100 acres to expand the factory. This is to help accommodate FCA's targeted output of 300,000 to 350,000 next-generation Wranglers, up from the 240,000 the factory can make now.